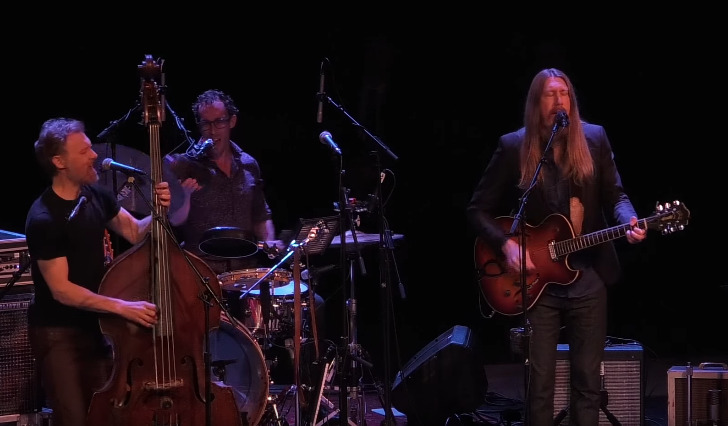 The Wood Brothers have long been one of the hardest working bands in the business, constantly touring, writing and recording for more than a decade. 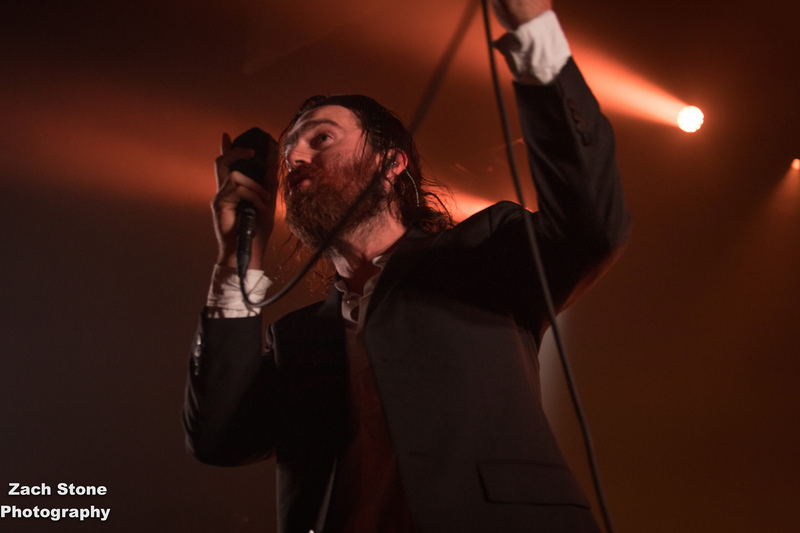 I’ve watched the band grow from playing dive bars to their recent two-night run at The Vic Theatre, and the increased popularity doesn’t feel the slightest bit surprising. In fact, it feels like a natural evolution, venue size increasing proportionately with their music’s improvement. What began as a simple folk duo has now become one of the most dynamic live acts around, their music refusing to fall under any single genre, instead teetering on the boarder of blues, folk, jazz and jam rock. Though this is certainly thanks in part to the inclusion of percussionist Jano Rix five years ago, it’s also apparent that the band is simply more confident and unified in their writing and performing. 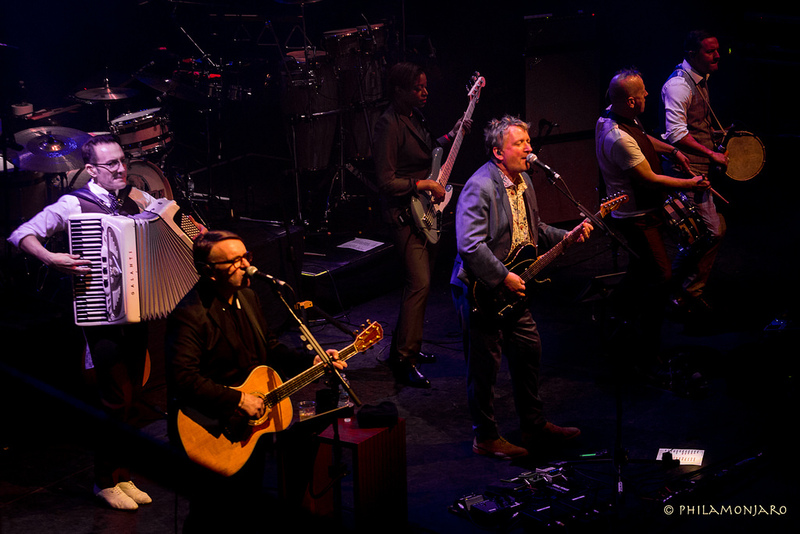 As a longtime fan, all of this was extremely apparent at the band’s second night at The Vic. The venue was packed well before opener Nicki Bluhm brought her classic country and folk songwriting to the audience, a keen understanding of the blues underlying her songs’ craftsmanship. Little space was left anywhere as Wood Brothers took the stage to a massive applause, which only increased with the opening notes of “Postcards From Hell” picked on Oliver Wood’s acoustic guitar. A song that helped popularize the band in early days and is usually reserved for later in the set, the opener set a tone of excitement for what was to come. Beginning with the simple, soft folk of their early career, the song grew larger after each verse, soon reaching the full-band momentum of their current work. “Tried And Tempted” followed, beginning with deep, dark upright bass before loosening to a funky sway. The audience, a mix of folk-rock fans and jam scene followers, was joyous throughout the set. The Wood Brothers’ music is almost impossible not to love, practically transmitting happiness to each member of the crowd. The songs from One Drop of Truth, released earlier this year, were strong as any others. “Sky High” featured unlikely percussion patterns from Rix’s use of shakers, continuing the set’s upward crescendo. “River Takes The Town” flaunted Oliver’s knack for timeless songwriting, his vocals growing stronger with each subsequent album and tour. “Seasick Emotions” reached a Beatles-esque style with classic rock influences. “Snake Eyes” offered the first full on rock song of the night, Chris Wood dancing ecstatically with his bass to Rix’s upbeat drums. Though chatter amongst the audience was audible during much of the set, this is an inevitable cost of the band’s growth, and was balanced by the collective enthusiasm garnered from certain songs. “One More Day,” for example, found the audience matching the band’s high energy. The amped up, bass-driven track featured long, dramatic pauses filled with huge applause, the band moving consciously through countless different sections. Eventually, Rix took a solo on keyboard while still playing drums, Chris dancing his way off stage and returning minutes later as Oliver was joining in on guitar to take the jam even further. This is no longer folk-rock, but something so much bigger. The band performed two songs entirely unplugged around a single, antique microphone, beginning wisely with fan favorite “The Muse” before inviting Nicki Bluhm out for what was presumably a traditional folk song. Following the quiet, intimate set of songs, the remainder of the set focused on funk-inflicted folk-rock. “I Got Loaded” had the crowd singing along loudly, Rix performing his infamous Shuitar, an acoustic guitar covered in small auxiliary percussion devices, creating a mobile drum set he wears, joining the band at the front of the stage. 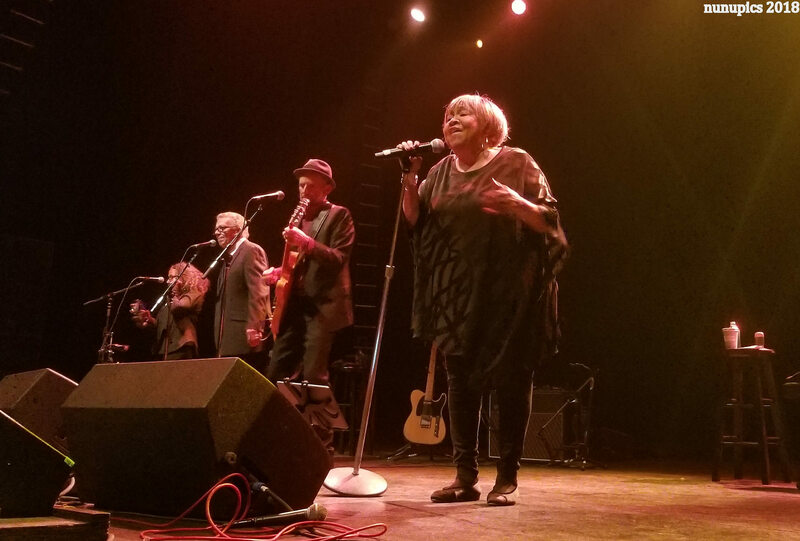 “Shoofly Pie” displayed the band’s funkier side, pairing perfectly with their ever-growing acceptance in the jam band scene, while recent single “Happiness Jones” featured all of the same exuberance, an instant classic within the band’s repertoire. If “Happiness Jones” felt like the band’s own, creative take on Southern rock, then following it with a cover of Tom Petty’s “You Wreck Me” couldn’t have been more appropriate, the band still filtering the classic through their own, distinct style, an altered bass line giving it a jazzy edge. 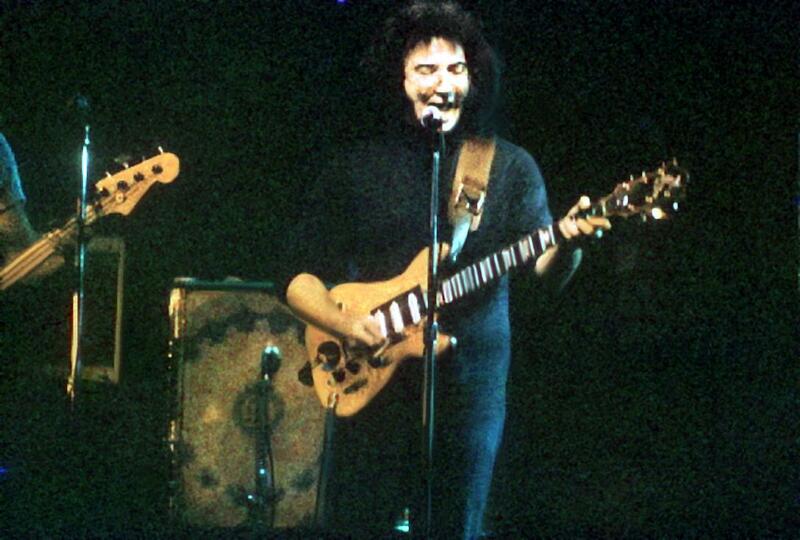 The cover ended with an extended keyboard solo from Rix, which slowly moved into the chord progression of “Luckiest Man,” likely the band’s most beloved song amongst new and old fans alike. 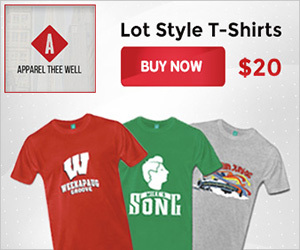 The evolution of The Wood Brothers sound is perhaps most apparent in the track. 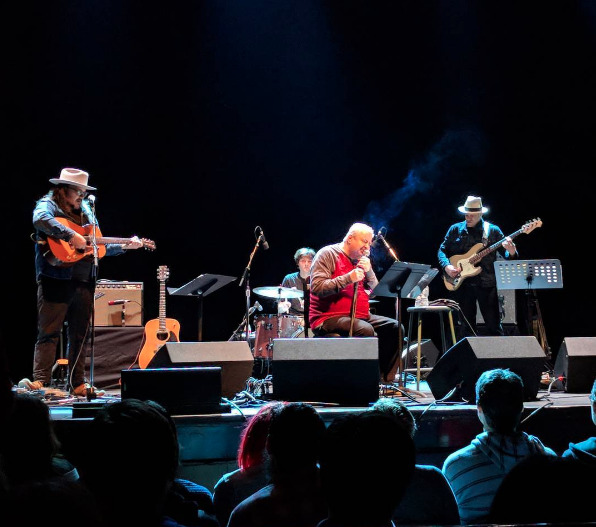 The performance at The Vic felt like Let It Be era Beatles combined with twangy Southern rock, a drastic difference from the simple, laid-back folk of the original recording. The live performance of “Luckiest Man” is undeniably far better than the studio recording, just as the trio is undeniably better than ever before. The audience sang loudly along with Oliver, eventually singing an entire verse on their own. This is what success sounds like, and nobody deserves it more than The Wood Brothers. 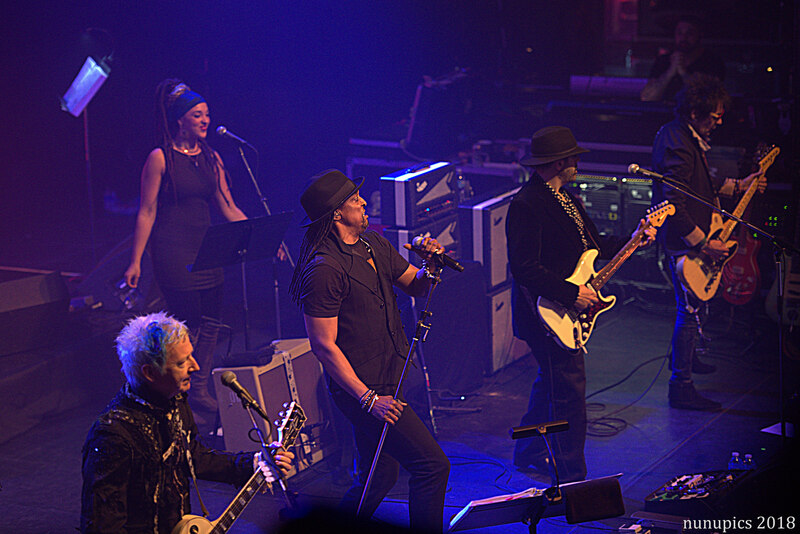 The band left stage and returned for a short encore, beginning with the intimate “Strange As It Seems,” which primarily featured Oliver on solo guitar and vocals, and moved into “Honey Jar,” another massive blast of funky folk-rock that offered each member an opportunity to solo throughout its lengthy jam, a perfect conclusion to the night. Though there certainly have been times when I’ve felt negatively about bands selling more tickets and moving to bigger venues, this wasn’t one of them. In fact, I left feeling proud of Oliver, Chris and Jano, as I’m not sure any group of musicians deserves it more. Check out the setlist and watch a video of “I Got Loaded” below. 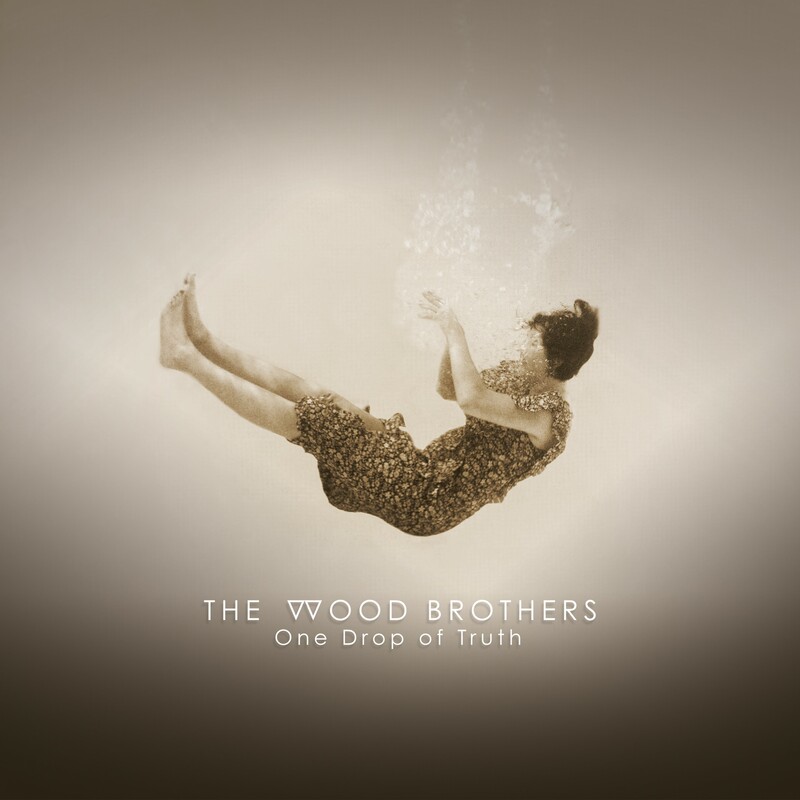 Feb 1, 2018 Album Review | The Wood Brothers - "One Drop Of Truth"